From my sixth floor office high on a hill above downtown Seattle, I can see the great Pacific Northwest wilderness in nearly every direction. The iconic forests that blanket the Olympic and Cascade Mountains encompass ecosystems of unimaginable complexity. Indeed, they have been described as “not only more complex than we know, they are more complex than we can know.” For decades we valued these forests primarily for the timber they produced, not realizing the diversity of treasures they harbored — literally not seeing the forest for the trees. It was only when the forest’s complexity was embraced and understood holistically, that we began to fully appreciate its value. The Emerald Alliance for People, Nature and Community was formed to operate regionally at the interface of these two ecosystems, enthusiastically embracing the complexity inherent in doing so and illuminating the broad array of benefits in support of sustainability and human well-being provided by our parks, trails, natural areas, working lands and waterways. By bolstering the value proposition for conservation action, and facilitating effective regional collaboration among its public, private, and non-profit partners the Emerald Alliance represents a bold, ambitious, and novel approach to accelerating the region’s progress in safeguarding its natural open space assets. To understand the origins of the Emerald Alliance, we must acknowledge the five-year effort of Professor Nancy Rottle and her team with the University of Washington’s Green Futures Research and Design Lab. With the financial and in-kind support of the Bullitt Foundation, Russell Family Foundation, U.S. Forest Service, U.S. National Park Service, Makers, and others; together with the enthusiastic engagement and contributions of individuals from dozens of governmental, academic, private sector, and not-for profit land trusts and policy organizations; the Green Futures Lab produced the first-ever Regional Open Space Strategy (ROSS) for the central Puget Sound. 3) the urgency of assembling a metropolitan-scale green space alliance to facilitate urgently needed communication and coordinated implementation actions among the many governmental and non-governmental players involved in conserving open space in the four county central Puget Sound region. Since the conclusion of the ROSS project, there is clear evidence it has been influential. Already we have seen the Puget Sound Regional Council step up to craft an important new Regional Open Space Conservation Plan (ROSCP) that directly justifies and responds to the ROSS call for coordinated regional planning and action. Likewise, the recently approved King County Land Conservation Initiative articulates a broad value proposition for conservation action as recommended by the ROSS team, and makes a compelling case for treating an investment in natural areas and working lands as an investment in infrastructure – no less important than our routine investments in engineered infrastructure. And now, the Emerald Alliance is emerging to help create a venue for the regional communication and coordination called for in the ROSS report and further specified in the ROSCP. Here at the Bullitt Foundation we welcome the Emerald Alliance with open arms. 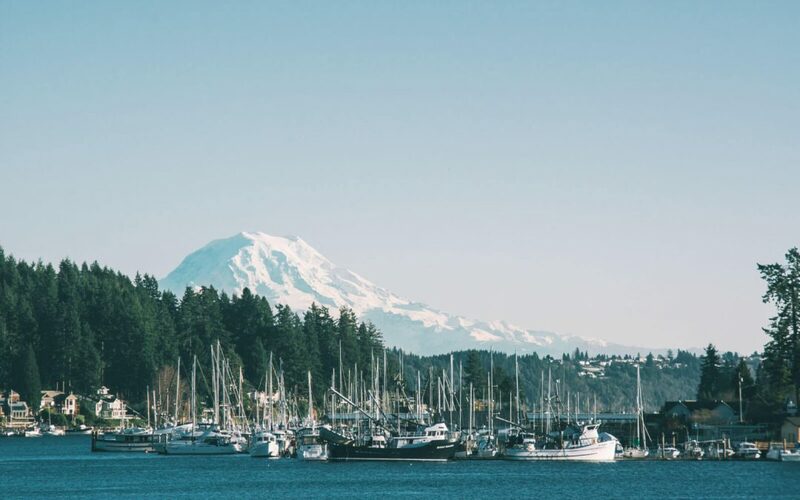 Unlike many other metropolitan regions, the central Puget Sound retains significant ecological integrity and it remains entirely possible to retain that integrity well into the future. But if that’s the objective, there really is no time to waste. At one of the early ROSS convenings a colleague from state government memorably said, “This regional approach is the only thing that has any chance of being successful. But given that, why hasn’t it happened already? Why is it so hard?” I would suggest it has been difficult to do precisely because there has not been an Emerald Alliance to help make it happen. But now is the time to get on with the task. It’s a gem of an opportunity. Let’s work together to conserve this incredible region we call home.